A.R. 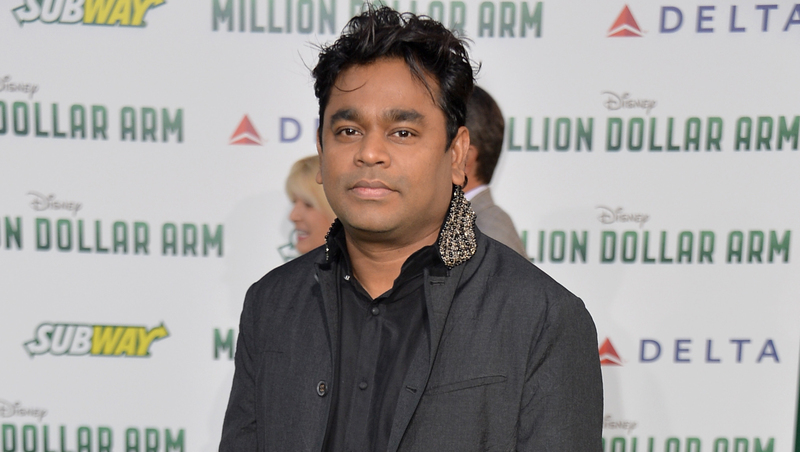 Rahman on composing music for "Million Dollar Arm"
Two-time Academy Award-winning composer A. R. Rahman is lending his musical chops to Disney's new sports film, "Million Dollar Arm," which hits theaters Friday. Directed by Craig Gillespie, the movie stars Jon Hamm, Aasif Mandvi, Bill Paxton, Suraj Sharma, Lake Bell and Alan Arkin. "Million Dollar Arm" follows sports agent J.B. Bernstein (Hamm) who's facing some road blocks amid a changing business. In a last ditch effort to save his livelihood he concocts a scheme to find baseball's next great pitching ace. His hope? To find a young cricket pitcher he can turn into a major league baseball star. It leads to the signing of the first two Indian Major Leaguers. The new film, set to music by the man behind the "Slumdog Millionaire" soundtrack, features collaborations with Australian hip-hop artist Iggy Azalea, rapper Wale and Scottish singer-songwriter KT Tunstall. It finds Rahman blending classic Indian styles and instruments with rap, rock and electronica music. Rahman recently told us (via email) about the film's soundtrack, his inspirations and how life has changed since "Slumdog Millionaire." CBS News: What attracted you to the "Million Dollar Arm"? A.R. Rahman: Executive producer Palak Patel approached me and told me the idea. I instantly felt good about the scale of the movie and accepted to do it. How would you describe the soundtrack to "Million Dollar Arm"? It's different from my other soundtracks in Hollywood due to the various collaborations we did for the soundtrack. On the whole, the music is to engage the audience more to the movie and the story telling. Did you have a hand in choosing some of the soundtrack's guest stars? Disney gave us a list of names for collaborating and the director Craig and me made the choices together. How does the music add to the film's plot? The songs add to the energy of the scenes and the score in places...We were careful not to telegraph key emotions and gave way to the actors playing characters to lead the emotion. Have you seen the completed film yet? What's your take on it the way it turned out? Yes I did go to the premiere. It was great fun watching with the audience and it felt good. It's a nice alternate human experience for people who are tired with overdose of visual special effects movies ;-). What do you know about the film before writing the music? I normally try to approach each film without any preconceived ideas or notions. So I had a completely open mind when I started writing for this movie. How do you go about coming up with the compositions? Do you have a routine? Since I am all over the place, working in India -- Chennai, Mumbai and then in Hollywood it sometimes disorients me and I take a couple of days to catch up with myself. I write humming ideas on my phone, at home on the flight and of course, a lot at the studio. These ideas are fleshed out and sent to the director and depending on his feedback, we take the music forward. In general, what makes you decide to take on a project? A combination of instinct plus recommendation. Sometimes a project spearheading a new route for engaging music to the audiences gets a "yes" sooner! How did life change after "Slumdog Millionaire"? Life is more enterprising...lots of opportunities and a few doctorates from prestigious universities. Less time with family is the downer. Looking back, what do you think it was about "Slumdog" that really resonated? I used to wonder long before if any composer or director from India would ever make it into mainstream Hollywood...didn't guess that it would be me. What's something you want to accomplish that you haven't yet done? Right now I am a contented man :-). I would have been a scientist...maybe. I am doing a movie with Lasse Hallstrom produced by Steven Spielberg.